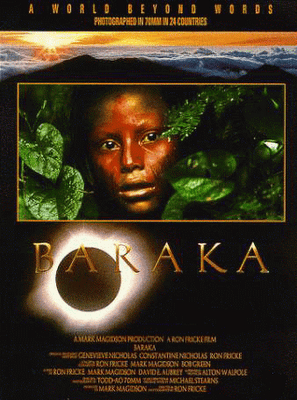 Something slightly different, Baraka was released in 1992 as something of a lardmark film. Baraka is a visual/audio experience quite unlike anything I’ve really come across. It takes cultures from all around the world and then slowly envelopes fantastic artistic camera work with some powerful music of various eras and nations. It’s really something that you don’t sit down to lightly watch, its something to really get lost and engaged in, so long as you appreciate the sheer art of the film. Baraka features some of the best world music I’ve listened to. Dead Can Dance are probably the best known but Michael Stearus’ own otherworldly layers are phenominal too. Once combined with the poetry in motion on screen, something special happens. If you’re able to get the 2 disc edition, disc 2 has a really in depth making of documentary that’s actually longer than the original film but is really interesting to see how they came about what they ended up with.